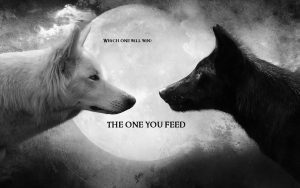 What Force Do You Wish to Feed? What Force Do You Wish to Feed? Humans experience two distinct forces within themselves. One is the animal/instinctive force, and the other is the transcendental force. Both forces participate in our decision making to different degrees. They each exert a powerful influence over the way we do things and how we perceive other people and the world around us. When we live our lives looking to feed the animal force alone, we devote our time and energy to accumulating material wealth and fulfilling our preferences, whims, and expectations—we do what feels good and avoid what feels bad. Often, people waste years waiting for the “right” conditions before doing what they consider important in their lives, but they spend hours every day obsessing over ephemeral, superficial things. When your mind starts ruminating about something, you go to the past or future, feeling afraid of life, and your mind blocks out opportunities from your awareness. No room for mistakes, no time for wonder. The brain becomes a commanding machine, wanting to be in control of the emotions, the mysteries of life, and the fear. The body disconnects, and then everything that happens gets processed through association and judgment dressed as rationality. We become slaves trapped in our heads—brainiacs. The animal nature is never satisfied, always competing, showing off. It stays forever in survival mode, yearning for new ways to feel pleasure and an illusionary sense of control over the world. Sometimes, when the suffering and anguish become unbearable, or when we have a breakthrough experience and discover a new way to live without the pressure and internal violence of the other way, we have an opportunity to transcend the animal plane of existence. We take responsibility for who we are and we decide to work on ourselves instead of waiting for the world to accommodate our whims. We learn to feel OK with uncertainty and we let go of the need to control in order to participate and contribute. We stop trying to change and resist the animal force inside us, and we embrace and understand that the way out is the way in, meaning that the more we learn through nonjudgmental observation about how it operates in our behaviors, habits, and tendencies, the more able we are to use this knowledge to support and empower the transcendent force within. We can finally acknowledge that both parts in us are necessary for transformation, so we connect both sides and become whole. At the same time, when body and mind work in alignment, they stop operating in emergency survival mode. When we decide to live from the heart and use the mind for effectively moving and operating in the world, we recognize ourselves beyond our personalities, races, genders, and so forth, and we understand that it is our own responsibility to feed the inner force of transcendence through daily efforts—making new habits—so we don’t just think about being respectful or loving toward others—we do it—it becomes second nature. It’s important to understand that I’m not talking about positive thinking to turn your world into what you want. That might make some people feel good temporarily, and to look happy to others around them. But the moment something unexpected happens, all the “goodness” goes away. What I’m suggesting is to use the full force of your awareness and attention to engage in practices and situations in which you can exercise, strengthen, and develop sensations and feelings of security, connection, deep satisfaction, love, compassion, success, gratitude, and peace. It is not a thinking task, it is an experiential mission. We can create for ourselves a new understanding of how change occurs. We can learn to benefit from it and how to move away from concerns, fears, and doubts toward wise decision making. The first action to create this shift is to tune up our minds and bodies so they can work harmoniously together. This helps focus our attention on looking within instead of dwelling on external circumstances. Our culture indoctrinates us with a strong belief that we need to fix and repair our broken minds, our imperfect bodies, the dysfunction of society, the way things are going, the mistakes of others. In the practical world, that belief is extremely painful to sustain, mainly because it’s limiting, and because it creates constant judgment and criticism. Transformation occurs when we learn to strategically set up new ways that don’t conflict with what we are, but rather ways that nurture it, embrace it, and change it—bringing a new and different experience. A habit will only entrench itself more firmly if we try to fight it directly. The best way to change behaviors is not by eliminating old patterns, but by creating new ones and reinforcing them consistently through time. One of the best ways to stimulate change is through peak experiences, aha moments, and awe. This attitude lets us see our habitual patterns and reactions without judgment. Through deliberate intention, experiential practice, and creative processes, we can make use of resources such as gaming, art, symbols, stories, and metaphors to map our own lifelong journey of change. The result of this exploration is a profound change into more ease, joy, and calm throughout the different phases of our lives, as well as new understandings of the transformative potential of struggle, pain, and challenges. We start taking more assertive actions, enjoying ourselves more, and complaining less about others and the world. We become agents of conscious change, a source of inspiration for others to free themselves from unnecessary suffering. 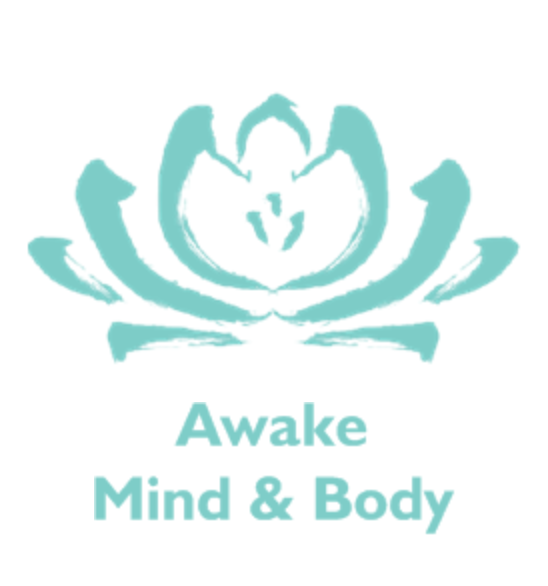 Awake Mind & Body guides you into your own particular journey of transformation, providing you with techniques that provide an integrative approach to change, balancing your mind, rekindling the aliveness in your body, and lifting your spirit. Conscious breathing, art, meditation, gaming, and movement can help us to develop the skills we need to embody habits of mindfulness, awareness, and consciousness. When we are present to what it is, we create a space, a mood, and a posture to transcend and expand—we live a powerful and creative life. In a word, it’s a much more fun approach. The FUN approach reveals your natural state of pure joy and wonder. FUN stands for: Freedom from guilt, pain, and self-criticism, Union of mind and body, and Natural, organic methods and tools that get you back to the best you. Approaching transformation this way helps you to understand that life isn’t about holding onto an ideal, expectations, or behaviors that remains the same through time. We can welcome and even enjoy making mistakes, because we know that they are ultimately nourishment for our own growth, learning, and evolution. The more we allow ourselves to make mistakes and learn from them, the more we can remain aware in the present moment. If we relax and enjoy whatever happens to be going on, we become naturally immersed in what’s happening rather than stuck believing in mental story lines. We become assertive, without a need to manipulate or create drama. We love and embrace the mystery of being us. No repression, no judgment, just pure fun, gratitude, and joy.